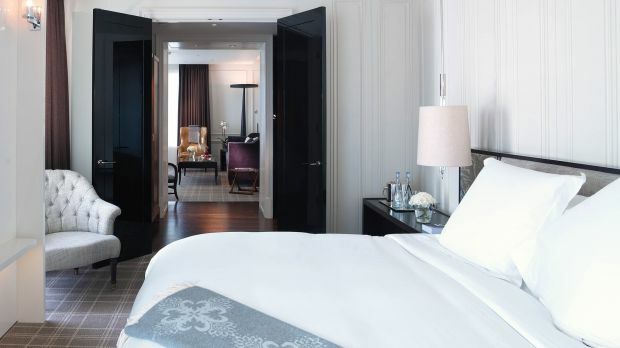 Centrally located, Rosewood London is easily accessed from all of London's airports and is just a short walk from the Royal Opera House and Covent Garden. Service here is seamless, and accommodating visitors in an impressive, yet unobtrusive way appears effortless at Rosewood London. Of course, a great deal of thought has been put into ensuring that all guests walk away happy: a hallmark of Rosewood’s impeccable brand of hospitality. The structure, interior, and furnishings of the property itself are equally impressive. 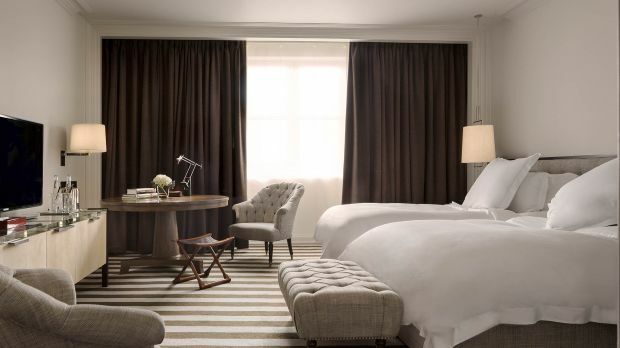 Rosewood London resides on land that has been in use since Roman times, and the building is a restored version of 252 High Holborn, which began construction in 1912. Lose yourself in Rosewood London’s enchanting allure at the heart of a historic city. Close to Covent Garden and countless other popular landmarks, the atmosphere inside all 262 rooms and 44 suites is reminiscent of a British manor home; don’t even try to lift a finger. Listen to live music and dine at your leisure in Scarfes Bar, the Mirror Room, The Lobby, Holborn Dining Room or Delicatessen, or in the comfort of your own rooms. In a word: heavenly. 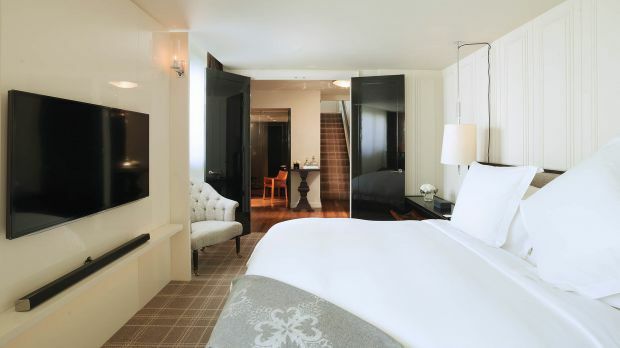 Send an availability request with your requested dates to the Rosewood London. This Executive Room boasts a large King bed, marble bathroom with steam shower and bath, Geneva Sound system with iPod/iPhone docking station, 46-inch flat screen LED television, wireless telephone, fine Italian bed linen and an extensive pillow selection, personal bar, Nespresso Machine and salon grade hairdryer. 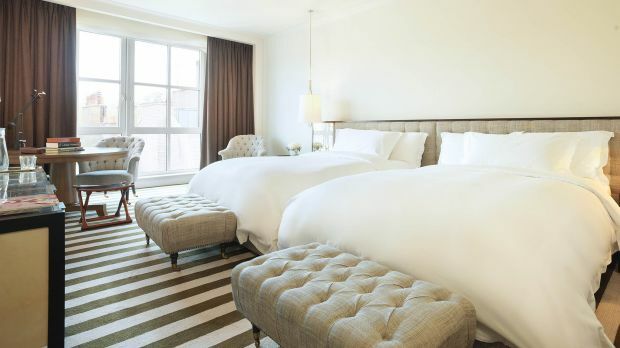 The refined Executive Rooms feature sumptuous interiors alongside majestic views of the cosmopolitan city or the picturesque inner courtyard. These spacious rooms offer comfortable accommodation, with ceilings stretching up to 3.7 m. in some rooms. The room offers elegant furnishings, a king bed and an indulgent marble bathroom with deep soaking tub and overhead shower. Connecting room and suite options are available. 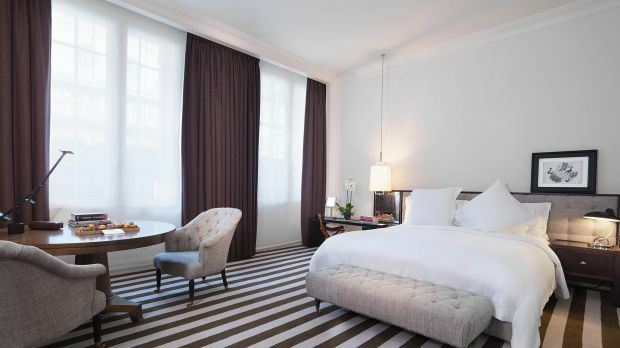 The spacious Grand Executive Rooms offer impressive views of the peaceful inner Courtyard of the hotel or over the roof tops to Lincoln’s Inn Fields, the largest public square in London. 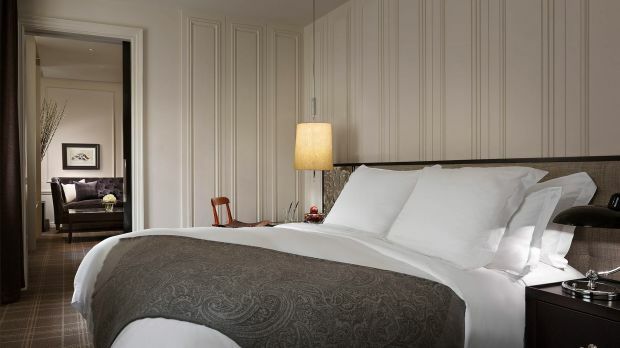 Features include complimentary Wi-Fi Internet, Rivolta Carmignani Italian linens and extensive pillow selection. With a soothing blend of beauty, comfort, style and space, Grand Premier Rooms are the most spacious of Rosewood London’s rooms. These stately chambers offer exquisite design complemented by a host of thoughtful amenities and a roomy Italian marble bathroom with deep bathtub and a walk-in shower. Features include Rivolta Carmignani Italian Linens, Geneva Sound System with iPod/iPhone docking station and complimentary Wi-Fi Internet. The generously proportioned Family Rooms feature two double/full beds; ideal for parents with two children up to 16 years old. 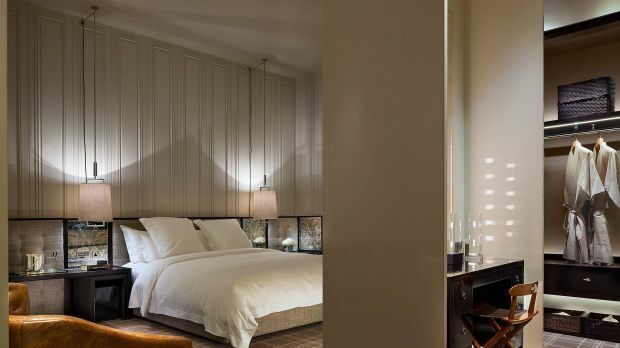 The rooms offer elegant furnishings and indulgent marble bathroom with deep soaking tub and rain shower. Connecting room options are available. Features include Rivolta Carmignani Italian linens, extensive pillow selection and complimentary Wi-Fi Internet. Each suite is unique in its layout but all share the benefit of an intimate living area. 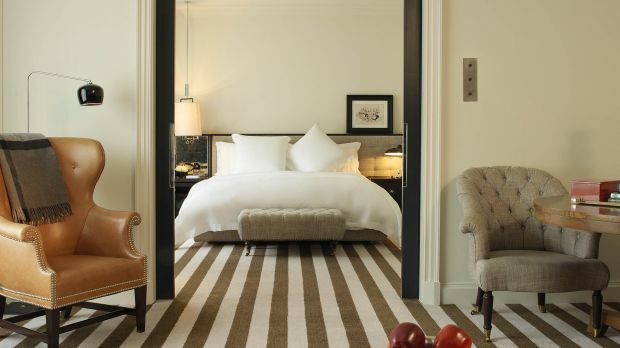 The intricate design is perfected by a selection of amenities which have been carefully put together to ensure a seamless stay at one of London’s ultra-luxury hotels. Features include complimentary Wi-Fi Internet, marble bathroom with bath and separate walk-in shower and Rivolta Carmignani Italian Linens. Located on the top floor of the Edwardian Grade II-listed building, the Dome Suite offers majestic views of the cosmopolitan city below, imbuing the space with the inimitable charm of the capital. The living room and bedroom are swathed in sumptuous fabrics –from thick felt curtains to supple leather chairs– while the bathroom features Italian marble throughout. The multi-level suite also includes two large oak tables, which are perfect for working or comfortable in-room dining. 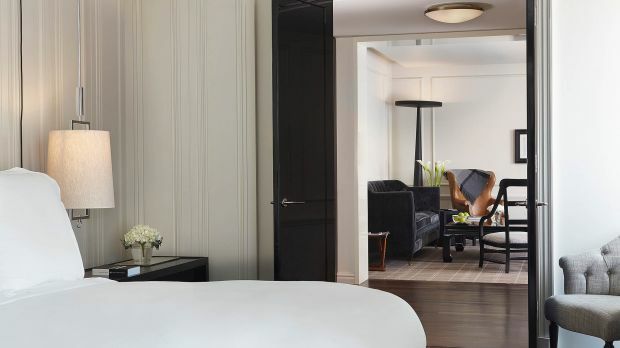 The Deluxe Suites perfectly embody the effortless combination of British manor house style and contemporary sophistication that defines Rosewood London. 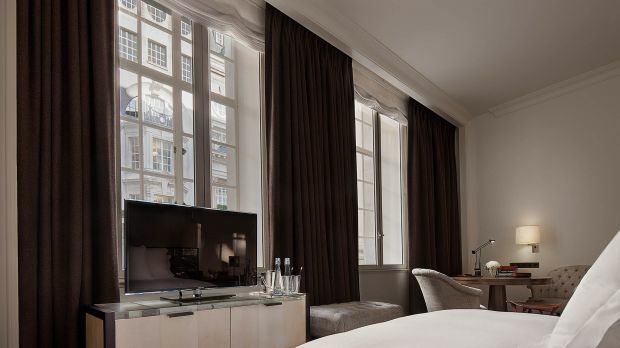 Featuring bespoke furnishings in muted tones and state-of-the-art technological amenities, the suites comprise a separate living room, airy bedroom and pampering marble bathroom. Features include Rivolta Carmignani Italian linens and an extensive pillow selection, 52-inch LED television and complimentary Wi-Fi Internet. 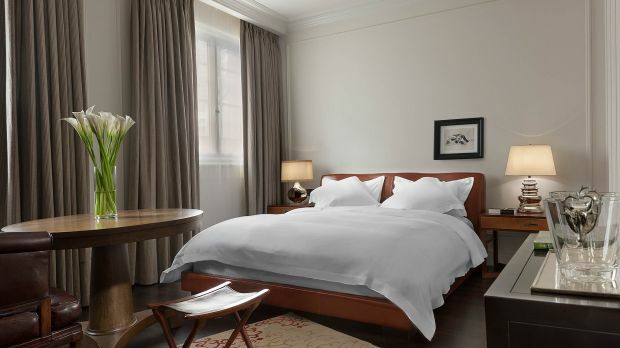 The Premier Suites perfectly embody the effortless combination of British manor house heritage and contemporary sophistication that defines Rosewood London. 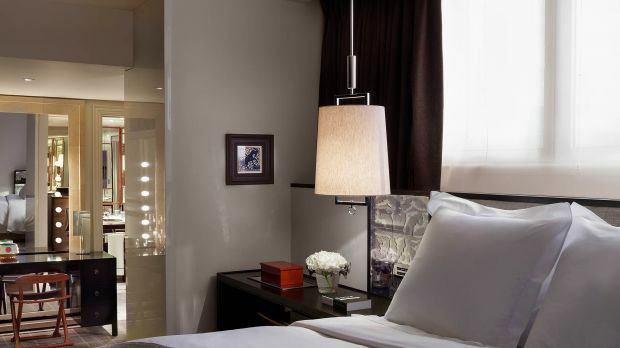 Featuring bespoke furnishings in muted tones and state-of-the-art technological amenities, the suite features an expansive living room, airy bedroom and pampering marble bathroom. 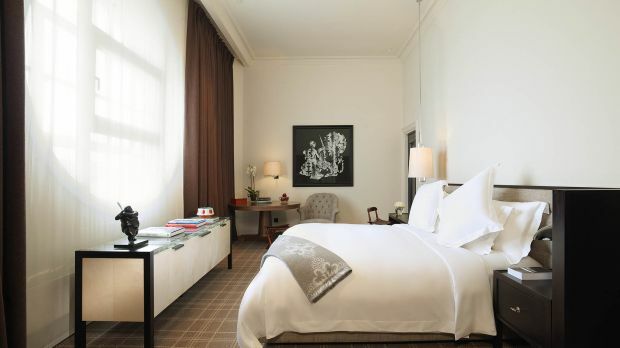 Architecturally impressive, the luxurious Cupola Suite is decorated in contemporary country house style by Tony Chi. The suite is entered through an expansive foyer and features an elegant bedroom with an adjoining den, a well-appointed living room up a small staircase and a spacious bathroom of Italian marble and hand-beaten Alpaca silver, with a walk-in shower and a deep bathtub crowned by a TV screen discreetly built into the mirrored wall. Impeccably elegant and supremely comfortable, Grand Premier Suites are one-bedroom residences entered through an eye-catching foyer. The suites provide a large, airy living room and a gracefully designed bedroom, making them ideal for guests seeking extra space or privacy. Imbued with all the heritage of Rosewood London’s Grade II-listed edifice, the Pearl Suite combines decorative touches harking back to the past with bespoke modern furnishings for a contemporary atmosphere, perfect for relaxing or entertaining. 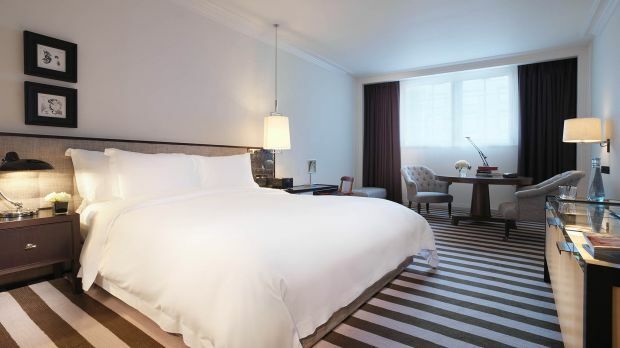 Named in honour of the Pearl Assurance Company, which constructed the building more than a century ago, the suite’s spacious, soothing bedroom with king size bed features indulgent Italian linens, while the light-filled sitting room and expansive bathroom are masterstrokes of design. Spanning on average 96 sq. m. (1,033 sq. ft.), the Cupola House Suite demonstrates the exquisite harmony of British heritage and modern refinement that is the hallmark of Rosewood London. A handsome foyer and an elegant entrance hall lead to a spacious bedroom and –up its own flight of stairs– a large, light-filled sitting room, both of which feature bespoke furnishings made from the finest materials and beautiful objets d’art. The Italian marble bathroom is complemented by a large walk-in closet, a guest powder room and a separate dressing chamber. A true work of art, the Holborn House Suite’s superlative composition offers guests the experience of living in a masterpiece. Decorated in a delicate palette with meticulous attention to detail, this suite is entered through an elegant foyer, which leads to a dignified living area overlooking the hotel’s peaceful inner courtyard. The suite features a guest powder room and den as well as a master bedroom with a spacious walk-in closet and an expansive Italian marble bathroom which includes a large bathtub. The lavish Noble House Suite is set within the magnificent Grade II-listed building and is accessed via the Grand Marble Staircase. This stunning suite comprises a tranquil bedroom, overlooking the courtyard, with king-size bed, a separate light-filled living area, a cosy den and a guest powder room. The bathroom features Italian marble throughout with hand-beaten Alpaca silver accents, a walk-in shower and a deep soaking bathtub. Generously spread across two levels, Rosewood London’s breathtaking Chancery House Suite possesses the elegant grandeur befitting its one-of-a-kind architectural arrangement. Entered through a handsome foyer and gallery reminiscent of a British manor home, the opulent suite combines a beautiful, spacious bedroom with a delightfully large, light-filled living room, cosy private study, indulgent Italian marble bathroom, guest powder room and large dining area with seating for eight.